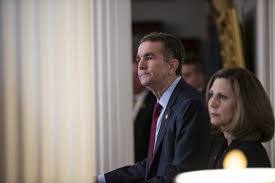 Today we discuss the politics of “racism” and “identity politics” in Virginia and the democrat party. We also visit with the President and Founder of Less Government, Seton Motley, about the corruption that results from our attempts at “nation building” around the world. Orthopedic Surgeon Dr. George Markovich and I discuss “single payer” healthcare as well as advances in pain management, joint care and replacement. We also visit with Naples Mayor Bill Barnett. Please join us for tomorrow’s show. We have terrific guests lined up including the Co-Founder of the Florida Citizens Alliance Keith Flaugh, local public education activist David Bolduc, local travel, entertainment, and dining author and columnist Sharon Kenny, and the author of “The Devil at Our Doorstep” Dave Bego.